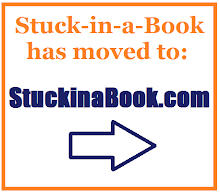 I've now set up an auto-redirect to StuckinaBook.com which will take place in a moment. I can't quite believe I'm saying this, but... Stuck-in-a-Book is moving! I/it can now be found at StuckinaBook.com. I can't tell you how nervous this is making me feel, after all these years. More info over there (here is my first post in my new home), but I do hope you'll keep reading! London War Notes: now a Persephone! Well, sadly Guard Your Daughters never made it into print, but the crossed fingers for London War Notes worked a treat. Now you can get your own copy - in a beautiful Persephone edition, no less! More info from their site, here. If this doesn't quite match my excitement when Miss Hargreaves came back into print, it's not a million miles away - London War Notes is such a valuable resource and a wonderful book that I do urge you to rush out and get a copy. Or, let's face it, order it online from the comfort of your own bed. And do pop back and let me know what you think of it! If you've reviewed it, put a link in the comments, as I'd love to read people's responses. Me... on The Readers podcast! Thanks for the comments on yesterday's pic of my haul - do keep 'em coming! I was going to save this for a mention in another post, but I couldn't wait. It's no secret that I have long wanted to appear on an episode of The Readers (and actually had that privilege in its very early days, where I talked about my favourite books). I've not been subtle about it. Well, this time I got to be a guest for the whole episode! I stayed a night with Thomas while in DC, and we recorded an episode in his beautiful library (with Simon replacing Simon for an ep, confusingly). I was pretty nervous and stunned to start with, but relaxed after a bit and had a really great time discussing bookish things with Thomas - specifically (1) our ideal bookish holidays, and (2) how many chances you give an author before giving up on them. And all sorts of tangents. If you don't already subscribe to The Readers through iTunes or similar, you should - it's always fab - but you can download the episode by searching there, or you can listen online here. Thomas and Simon do it every fortnight, so do check it out. I had such a blast doing it, and it goes without saying that I'd always be thrilled to be invited back, if I haven't disgraced myself. And it has rather given me a taste for podcasting... something I will mull over. Anyway - go and have a listen, or download it and listen while walking/driving/etc. and let me know what you think! I had such a wonderful time in Washington DC (and bits of Virginia and Maryland too). I'll be writing more about the trip soon, including meeting up with a whole heap of bloggers, but I'll start with what you really want to know: the books I bought. Well, dear readers, I bought a heck of a lot. 34, I think. And, since I'd brought 7 books with me, that meant carrying more than 40 to the airport - and a substantial percentage were crammed in my hand luggage. It was quite the feat. And... here they are, with a little bit about why I bought them. As always, do comment (or email/tweet etc.!) 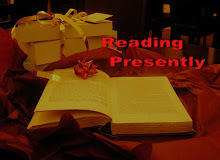 if you have read any, want to know more about any, etc. etc. I was partly drawn to the prettiness and neat size of this book, but (less shallowly), it's about the theatre, and I always love that. Big-time May Sarton fan Thomas (from My Porch) wasn't even with me when I picked this up - but it seemed like it could be a fun one. A Leacock I didn't own, to join the piles of Leacock books I've yet to read... In fact, I don't think I've read any for about ten years, so must get onto that. A book about books - specifically book dealing with 20th-century classics. Called Tolkien's Gown in the UK, I think. Someone recommended this... Anyway, an NYRB Classic and an intro by Michael Cunningham sold me on it. And another beautiful NYRB by an author I've been intending to read. Two in a series EFB wrote about different periods in London, with beautiful dustjackets. Non-fiction, about an experiment where Phyllis Rose decided to read everything on the LEQ-LES shelf of the New York library. I read this one while in DC, and it's BRILLIANT. More soon. Sedaris is another one who is readily available in the US, and a little less so here. This one went on my Amazon wishlist ages ago, and I can't remember why. But this edition is a beauty, and the two things combined made it irresistible. Book about books = sold. A really beautiful copy of one of Stern's memoirs - which are piling up on my shelves now. I enjoyed their book about friendship and book dealing, and, well - this one seems to be about the same thing. Morley is everywhere in the US, and I nabbed this fun-looking collection. On the plane, I read the Cunningham novel I bought last time I was in the US (A Home at the End of the World) so I thought I should replace it with another! And last time I bought, read, and really enjoyed Robert Nathan's Portrait of Jennie - so, this trip, I took the opportunity to buy a couple more. I've never really tried any of Robinson's non-fiction works (and am rather daunted by them). This one is on theology and science, and maybe one day I'll be brave enough to give it a go. Trillin is another author to be found everywhere in the US, and these two caught my attention - particularly the intriguing Remembering Denny, about a high school star who came to nothing. I also love a collection of letters, and this one from the man who set up the New Yorker promises to be the best of the literary 1920s. Despite intending to only buy books that were hard to find in the UK, I couldn't leave this lovely Sharp behind. This is another one that was on my Amazon wishlist for ages and I don't remember how it got there - but now it's all mine! More on the bookshops, people, and activities soon - but, for now, let me know your thoughts on my purchases! Yep, dear blog readers, today is 8 years since I started blogging at Stuck-in-a-Book. Every year it comes around more quickly, and I seem to be running through the numbers at a rate of knots. Thanks so much to all the lovely people who read this, particularly those who have been reading for many years. I really do appreciate your comments, emails, links, and friendship - and, of course, your blogs (for those of you who blog). As you read this, I am off on a 'plane to America, visiting my friend in Washington DC. While there I am planning on meeting up with FIVE bloggers, three of whom I haven't met before. 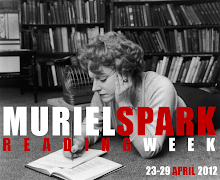 I'm not back til the 20 April, so you may hear their reports before you hear mine - and I am intending on returning to Blighty with bagfuls of books, of course.